Smartwatches are a luxury that tech enthusiasts tend to debate whether it’s something they truly need. With most smartwatches priced between $200 to $500, smartwatches are often used by those who can justify the price to the means. But for those who want to own a smartwatch without clearing their bank account, the choices are limited. Mobvoi, an AI company, has set its sights on changing the landscape when it comes to smartwatches. For the last few years, they’ve been creating fully featured smartwatches that were affordable. 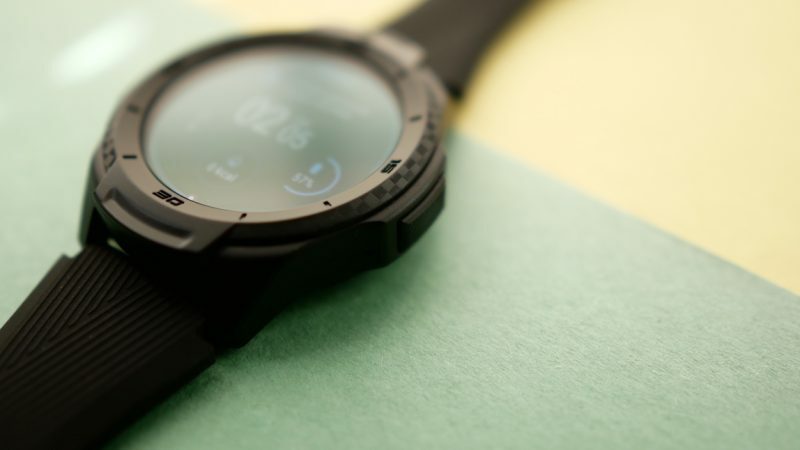 Earlier this year, they launched two new smartwatches, and over the past few weeks we’ve been trying out their new TicWatch S2, a smartwatch geared for those who live an active and adventurous lifestyle. Out of the box the S2 isn’t built with quality materials that you would typically find in more high-end smartwatches, such as the Samsung Galaxy Watch or even the Apple Watch. The body of the watch is made from Polycarbonate, which gives the watch a lightweight feel while simultaneously giving it strength and durability. 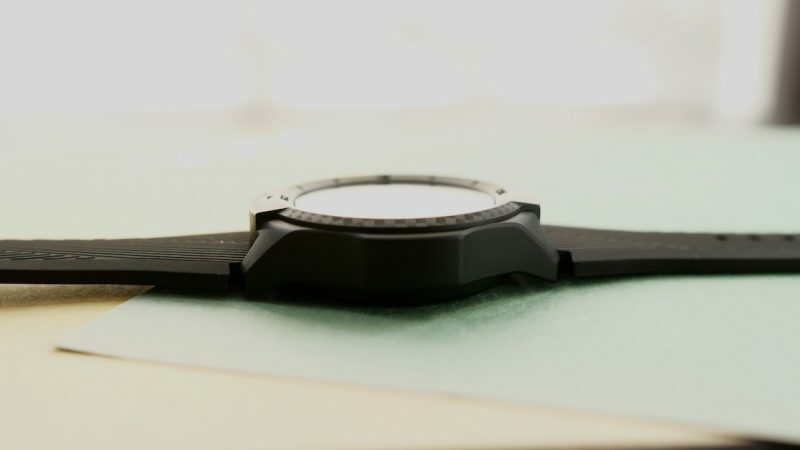 The watch band is 22mm and is comprised of a silicone material. I haven’t worn a watch in years, but the silicone band felt great against my wrist. On the back of the wrist band, there is a divot that you’ll find that runs along both sides of the band. It’s a small detail, that I felt, allowed air to properly circulate between my wrist and the band so that moisture would be kept to a minimum, which reduces the amount of skin irritation over time. 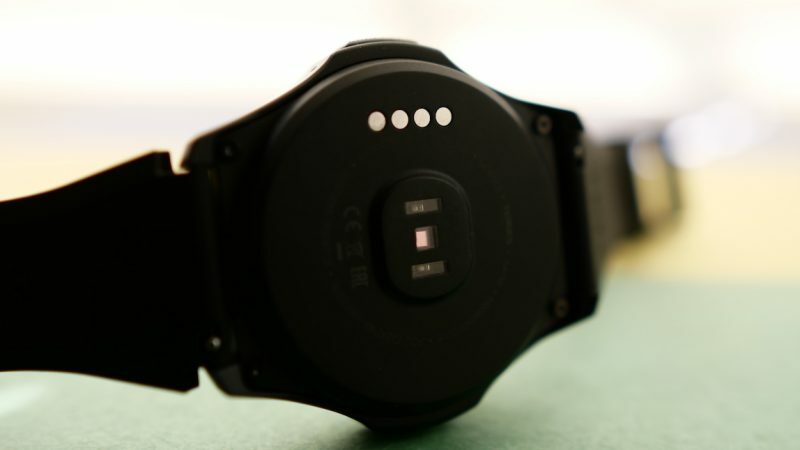 On the back of the watch, you’ll find the heart rate sensor and the metallic contacts used to charge up the watch. There’s one physical button that is located on the right side of the watch, that will let you turn on the phone, take the phone out of sleep mode, and access Google Assistant. The watch measures just under 13mm thick, which is enough thickness to pack in some powerful specs, while making sure the watch doesn’t look too big on your wrist. The S2 has a 1.39-inch (400×400) AMOLED screen, which made things easy to see and read. Unfortunately, the S2 doesn’t adjust the screen’s brightness based on your environment, but I found that even set to its highest brightness setting, it was just enough for either outdoor or indoor use. For the hardware, you’ll get a Qualcomm Snapdragon Wear processor, Bluetooth 4.1, accelerometer, gyroscope, and a 415mAh battery. The S2 does not have any built-in NFC chips, so for those who are looking to use a smartwatch to make payments, you’ll have to do it the old way and take out your wallet. The S2 utilizes Google’s Wear OS 2.0. Previous versions of Wear OS never garnered positive reactions, but with 2.0 having a heavy focus on Google Assistant, the platforms OS seems to be headed in the right direction. With four different swipe directions, users can access wear OS’s list of options. A swipe up will access notifications, a swipe down will access some quick settings, swiping left will access google fit, and lastly, a swipe right will reach google assistant. The S2 felt quick and responsive with swipe directions. It never felt as if the watch was lagging or getting hung up on certain screens. One difficulty I encountered was when trying to use “OK Google.” A majority of the time, the S2 wouldn’t be able to hear my request, which would often lead me to have to repeat myself. The S2 doesn’t use the latest Snapdragon 3100, instead opting to use the 2100 processor. Using an older processor helps cut the price down for the S2, but performance wise, the S2 doesn’t feel like it’s a step behind. Navigating through screens felt fluid, as the same when scrolling through the list of notifications or settings. When it comes to activity tracking, users will have two options. They can stick with Google Fit or use Mobvoi’s TicHealth, For the most part, I used TicHealth to keep a track of my daily steps, which also informed me of the calories I’ve burned plus the distance I traveled. The one thing I truly appreciated from TicHealth was its ability to remind me to hit a certain amount of steps every hour. For a person like me, who spends a majority of the day sitting down, it feels good to be reminded to get up and keep active. The S2 benefits from Mobvoi’s AI technology, TicMotion, which allows the phone to easily determine which physical activity you’re doing automatically, eliminating the need for you to set up you watch before you go. When it comes to battery life, the S2 gave me just about 2 days of use, but that’s accounting for moderate use. Charging was also made simple, as the included charger easily snaps onto the watch with magnets, and I was able to get a full charge in about an hour and a half. Protection wise, the S2 is rated MIL-STD-810G (Military Standard), making it rugged enough to be used in harsh weather conditions. It has a waterproof rating of 5 ATM, which makes it swim ready, and makes it durable for up to 50m. Living in California, we don’t experience harsh weather, such as freezing temperatures or snow, but while testing the S2, we did experience some bouts of heavy rain, which the S2 handled really well. I wasn’t worried about getting the watch wet as I knew that I would still be able to use it without any performance complications. In the Android watch ecosystem, there’s plenty of choices that you have. 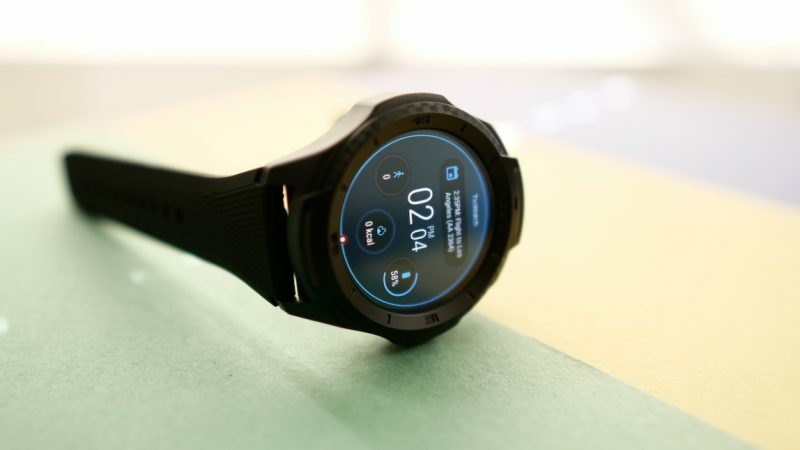 Most people will be geared towards the bigger names such as Samsung and Huawei, but for those that just want a smartwatch, that has no frills and gets straight to the point, then the S2 by Mobvoi is a top contender. With an affordable price tag of $179.99, you’ll get a smartwatch that can give you access to your daily tasks, such as emails, messages, and fitness. As far as style, the S2 isn’t going to win any awards, and some might think it’s a bit thick for a smartwatch, but what it lacks in style, it makes up for in its durability and protection. You won’t be afraid to toss this watch around and get it dirty when you’re working out, because it’s polycarbonate body will work as hard as you do. Now for its price, you’ll lack some features that other watches might have, such as an up-to-date processor, NFC, and/or an integrated speaker, but the S2 can still stack up as a fully-featured watch that can just about please any mild-mannered techie. The post Mobvoi TicWatch S2, an affordable Android smartwatch: Review appeared first on Nerd Reactor.